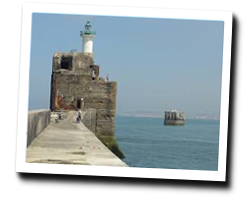 On the Opal Coast (Côte d'Opale), Boulogne-sur-Mer is the first French fishing port. The upper town, surrounded by walls, kept beautiful historical testimonies: castle, belfry, etc. The National Center of the Sea "Nausicaa" is home to animals from all the world's oceans. At the seaside, you will find a pleasant sandy beach protected by a jetty. 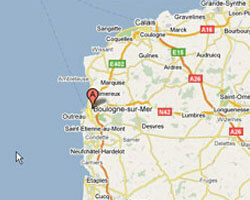 In Boulogne-sur-Mer, enjoy a seaview holiday rental. 2 rooms apartment 40 m2 in a residence. View of the sea and the beach. 2 rooms apartment 63 m2 in a residence. Balcony with outdoor furniture. View of the sea and the beach. 3 rooms Apartment. Balcony. Distance to the sea: 100 m. View of the sea and the beach. T2 apartment 55m2 ideally located facing the sea and the beach of Boulogne sur Mer. Flat type F1 facing the sea and access to the beach. Renovated in 2015. 1 Bedroom(s), 1 double bed(s). short stays possibility. Final cleaning : 40 €. Price from 400 € to 500 €.